Fact: Amsterdam has more canals than Venice! People associate Amsterdam with lots of things including “Coffee shops”, Red-light district, Vincent van Gogh and Rembrandt but rarely with canals and water. 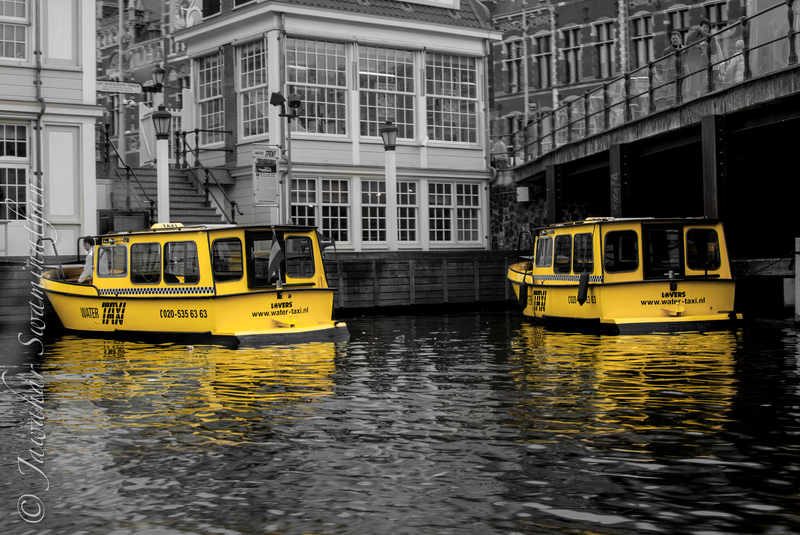 Ubiquitous in the more than 100km of canals and 1500+ bridges are the water taxis. They are an excellent way of getting around the Amsterdam old quarter avoiding traffic jams on the narrow roads. Previous Previous post: The 100th! !